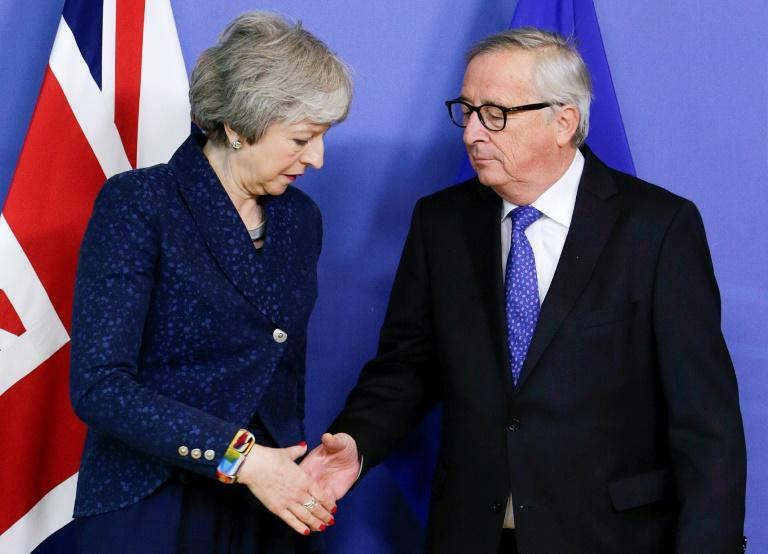 Britain and the EU agreed Thursday to hold more talks to try to avoid a no-deal Brexit after a "robust" meeting between Prime Minister Theresa May and European Commission chief Jean-Claude Juncker. Juncker reiterated in a joint statement that the EU-UK divorce agreement struck in November cannot be renegotiated, rebuffing May's attempts to change arrangements for the Irish border. But Juncker expressed "openness to add wording" to a parallel political declaration laying out plans for future EU-UK ties, with hopes this could break the deadlock. After his own talks with May, EU President Donald Tusk warned there was "no breakthrough in sight", although the British leader said she had seen willingness from Brussels to find a deal. May has been desperately trying to salvage the withdrawal agreement she spent months negotiating with Brussels, after it was rejected by the British parliament last month. She has been working with her own MPs to find a way through, but an EU official said that in Thursday's meeting with Tusk, she "did not offer any new concrete proposals". Instead, Tusk apparently suggested to May that she study a plan laid out by British opposition Labour leader Jeremy Corbyn. May has already rejected the proposal for an EU-UK customs union, but the EU leader said it "might be a promising way out of the impasse", the official told AFP. Talk has been growing that even if MPs finally back the deal, Britain may have to delay Brexit, scheduled for March 29, to get the necessary legislation through parliament. But May vowed: "I'm going to deliver Brexit, I'm going to deliver it on time." The impasse has deepened fears that Britain could crash out of the EU without a deal in 50 days time, disrupting trade and supplies to manufacturing. In a sharp reminder of the urgency of finding a solution, Bank of England governor Mark Carney warned that Britain's economy was "not yet prepared" for a no-deal departure. Speaking to reporters as she left Brussels, May said she had spelled out Britain's "clear position" that legally-binding changes are needed to the so-called backstop plan for the Irish border. Her MPs fear the arrangement, which would keep Britain tied to EU trade rules if and until another way was found to keep the frontier open, is a "trap". Such changes to the Irish question were not forthcoming, but instead May got a fresh round of talks. EU negotiator Michel Barnier will now meet British Brexit Minister Stephen Barclay in Strasbourg on Monday for what an EU official described as "exploratory" negotiations. May herself will meet Juncker again before the end of February. She is also sending her top lawyer, Geoffrey Cox, who has been looking at a possible time limit or exit mechanism on the backstop, to Dublin ahead of her own dinner on Friday night with Irish Prime Minister Leo Varadkar. 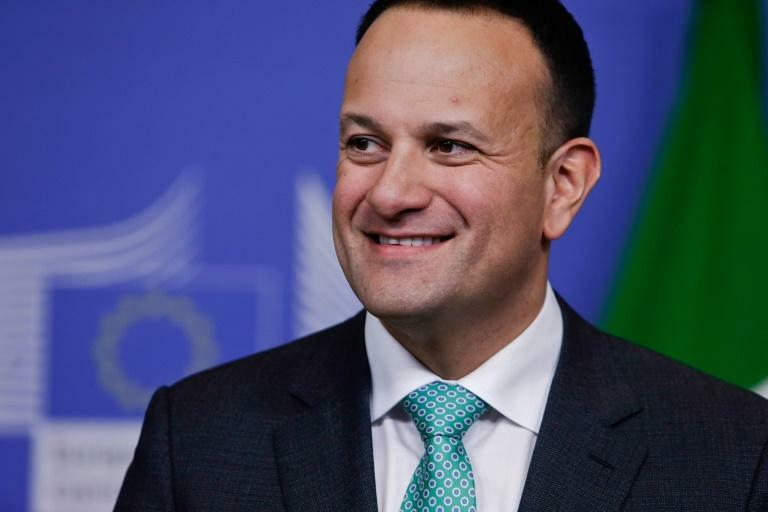 Varadkar, whose government has stressed the importance of maintaining an open border between Ireland and Northern Ireland, said recent "instability in British politics" showed why a backstop was essential. Expectations for Thursday's visit were already modest when, a day earlier, Tusk and Juncker torched May's prospects of winning changes to the withdrawal agreement. Tusk, who represents EU member leaders as head of the European Council, also triggered outrage across the Channel by damning pro-Brexit politicians. "I've been wondering what that special place in hell looks like, for those who promoted Brexit without even a sketch of a plan how to carry it out safely," he said. May said she had raised the incendiary remarks in their meeting, calling them "not helpful" and saying they had caused "widespread dismay" in Britain. She insists that without changes to the backstop, her deal will never pass the British parliament. But May has exasperated EU leaders by repeatedly coming to Brussels without detailed proposals. 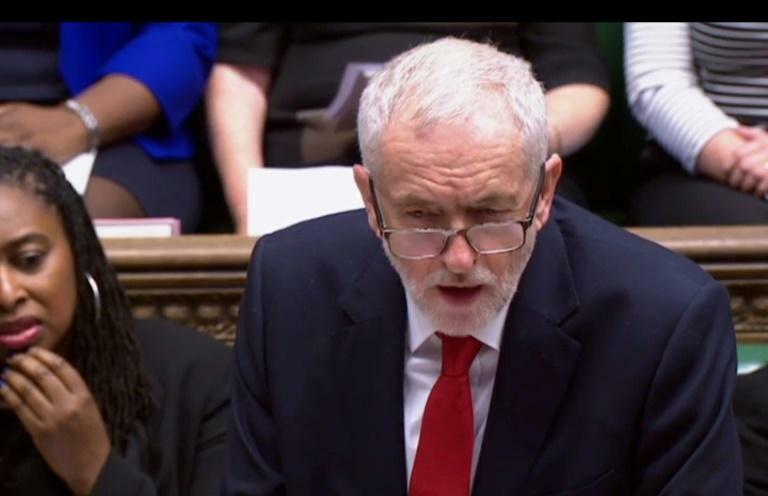 Labour leader Corbyn wrote to May ahead of his visit suggesting that he would accept the backstop, but saying he wanted changes to the declaration on future ties. These include a customs union, which May opposes because it would not allow Britain to have its own trade policy.